Google Images stitched together a few photos I took for a nice panorama of the Rotunda that I took on Opening Day. Get’s Jackie’s quote right there at the top too. Figured it was worth a post today. It seems 90% of my posts are about beer. Hey, it goes great with a ballgame! I can’t give you an official accounting until I get out to the park for Opening Day tomorrow, so keep an eye out for that, and follow me on Twitter where I’ll be tweeting plenty tomorrow. If this interests you, also follow Barley Prose which is a beer blog I run with some fellow Mets fans. This year we’ve got a real preview though. Sports Illustrated reached out directly to all 30 teams for a breakdown of the beers and they got actual replies, which speaks volumes about beer in 2019. Standing out, to me, is Five Boroughs Brewery which has been open only a couple of years but I haven’t really heard much about them. Also new to the park seems to be Interboro, which I have heard of and enjoyed. They’ll both have New England Style IPAs available inside. LIC Beer Project also makes excellent IPAs that are available. Of course there’s also Mikkeller NYC, attached to the park, of which I will stop by on my way in, as early as I can. I’m excited to try their new United We Cheer collaboration with The 7 Line, and the Henry Hops is also a solid choice when you’re inside. The Mets didn’t provide pricing, which I suspect they might have if the price was the same as the $11.25 last year for craft beers. I’m hoping they only raised it to $11.50 and not a full $12, but stay tuned. 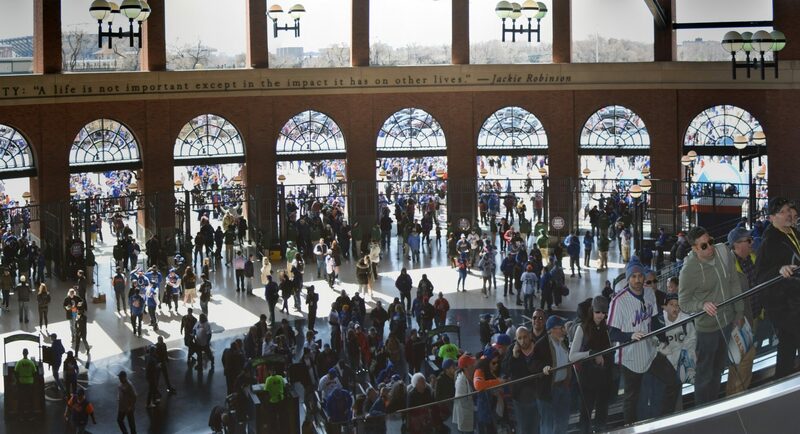 It was $7.50 when Citi Field opened in 2009. Beer at the ballpark only gets better and better, although I notice that there still seems to be no real push for darker beers. Mets Spring Training games are here! Let’s get excited! Today’s beer of the game is a local jersey brewery, Carton. G.O.R.P. or Good Old Raisins and Peanuts isn’t quite peanuts and Cracker Jack, but it’ll do. This beer is a solid brown ale with a nutty peanut butter taste and some dark fruit sweetness hidden underneath. It comes in rather strong, something we hope the Mets will do when the season rolls around. Let’s drink some beer, watch some baseball, and get pumped! What Radio Station Is The Mets Game On? Or, of course, on the MLB At Bat app or other MLB authorized streaming places, like mlb.tv. I’m excited for 2019 as it should be a fun year for the Mets. They’ve made a lot of changes this offseason, and while they could’ve done, and still could do, more they trimmed a lot of the bad players off the depth chart and continue to have one of the best rotations in baseball. This division looks to be pretty competitive. The Braves surprised and won it last year, and while they’re projected for third you could reasonably expect that to be unfair based off last year’s results. The Phillies showed some promise, and while they’re projected for 4th, you could argue that they have a lot of potential there that faded in the second half last year. The Nationals are still on top by a few games, but they’ve shown themselves to be underperformers. The Mets come in at 85-86 wins in Fangraphs projections right now. PECOTA says 88, with the Nationals at 89. Both have the Mets pitching staff as top flight. Whichever way it breaks, it appears that all four teams have a reasonably similar shots of winning the division. That means a lot of head to head matchups. Lots of scoreboard watching. Lots of tweaking rotations to get favorable matchups. Lots of battles for first place. Lots of competing trade deadline machinations. All that adds up to a rather fun season. This headline is clickbait, there a ton of reasons to covet Manny Machado over virtually everyone else, but those are obvious, and less interesting to write about. Machado is awesome, he fits the Mets very well, and they should absolutely try to sign him. Alas, all 29 other teams are also aware of this guy, and the Mets could seriously pursue him and still not get him. So what other infield help is there? Well, there’s Josh Donaldson. The big risk with Donaldson is that he’ll be 33 and had a bad and injured season. You could read into that as the end of the line for him as a useful player, it wouldn’t be the most surprising thing. You definitely have to give him his physical, look at the underlying numbers, do your due diligence. If you find a red flag, balk, but if you don’t, he could be a huge addition. Donaldson was a late bloomer, and floundered a bit his rookie year at age 26 in 2012, but after that he’s been among the best in baseball. Last season was hampered by injury, but he was traded to Cleveland and mashed much like he’s mashed in the past. It was a small 60 plate appearance sample, but all the peripheral stats seem to support him being much like himself. He’s a great hitter, he’s got power, he walks a bunch, he makes a lot of solid contact. He’s not fast, but he’s not a base-clogger. He plays good defense. He’s not exclusively a pull-hitter, shifts don’t seem to hurt him too much. He’s a righty, which plays nicely with the Mets having a lot of lefties providing their power right now. MLB Trade Rumors is predicting the Cardinals will sign him for $20 million, one year. That seems like a steal. Crowd-sourced predictions at Fangraphs have him signing for 3/58, which could still be a steal if Donaldson puts up even something less than his career line. If he’d simply stayed healthy and had an average year, he’d be getting mentioned with Manny Machado and Bryce Harper. Steamer projections have him just a tick off his average, at 4.6 fWAR for 2019. Even if he continued to decline from there, getting 10 or so WAR from Donaldson over three years would be worth 60 million, easy. Donaldson might want to try to have a healthy season and jump back into the fray, but Nolan Arenado will be a free agent next year and Donaldson would be a year older too. Perhaps Donaldson could be the right target while other teams are focused on Machado, and maybe Donaldson takes one option off the board for teams looking for shorter term 3B options, raising possible demand for a Todd Frazier trade. Oh, and Donaldson’s twitter handle is BringerOfRain, which is cool. 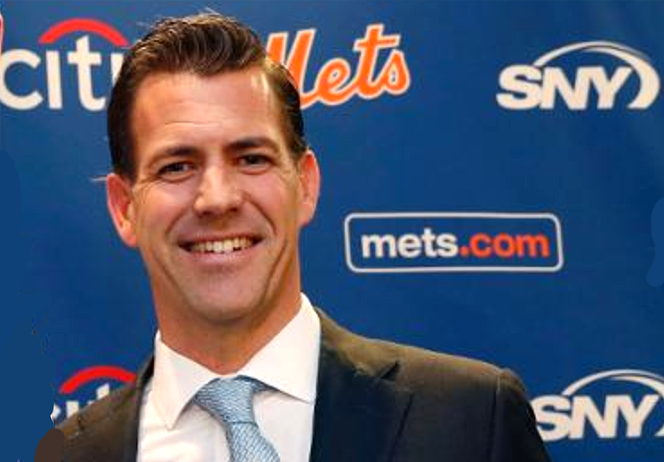 I searched the internet so you didn’t have to, to find anything interesting about the new Mets GM, Brodie Van Wagenen. Information has always been power in any industry and it is certainly true in baseball and contract negotiations,” says Van Wagenen. “The people that are capable of analyzing that data in a more sophisticated way are the people that have had the opportunity to succeed. Seems fairly analytical to me? Do Man? This was the team he was on with Astro’s manager AJ Hinch. The Tabloids could have a field day with this one. Recently, we worked with a client who did not enter free agency after his best statistical season,” Van Wagenen says. “We used complex analysis to recreate the player’s statistical profile in order to more accurately demonstrate his future potential. This convinced two teams to enter the process that had not previously been engaged, resulting in more options for a client. Another quote that certainly seems to suggest Van Wagenen is going to be open and eager to work with his analytics department and value Sabermetric thinkings. I’m excited to see what Van Wagenen gets up to here. It should be an interesting offseason and I expect we’ll know a lot more about the new GM come Spring. I was thinking of things to search for last week and tried “10 hours of Meet the Mets” but it didn’t exist. So I figured I should make one. This isn’t quite that, but I’m sure you’ll enjoy anyway. Five hours, to honor David Wright, of Meet the Mets.